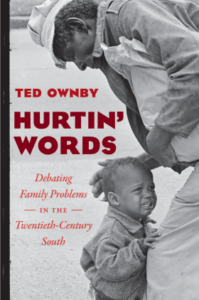 In Hurtin’ Words, Ted Ownby considers how a wide range of writers, thinkers, activists, and others defined family problems in the twentieth-century American South. Rather than attempting to define the experience of an archetypal “southern family,” Ownby looks broadly at contexts such as political and religious debates about divorce and family values, southern rock music, autobiographies, and more to reveal how people in the South used the concept of the family as a proxy for imagining a better future or happier past. In the civil rights period, many embraced an ideal of Christian brotherhood as a way of transcending divisions. Opponents of civil rights denounced “brotherhoodism” as a movement that undercut parental and religious authority. Others, especially in the African American community, rejected the idea of family crisis altogether, working to redefine family adaptability as a source of strength. 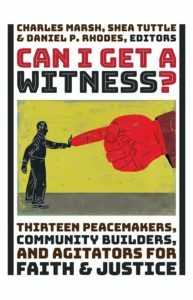 In this engaging work, Ownby shows that it was common for both African Americans and whites to discuss family life in terms of crisis, but they reached very different conclusions about causes and solutions. Ted Ownby is director of the Center of Southern Culture and a professor in history and Southern studies at the University of Mississippi.